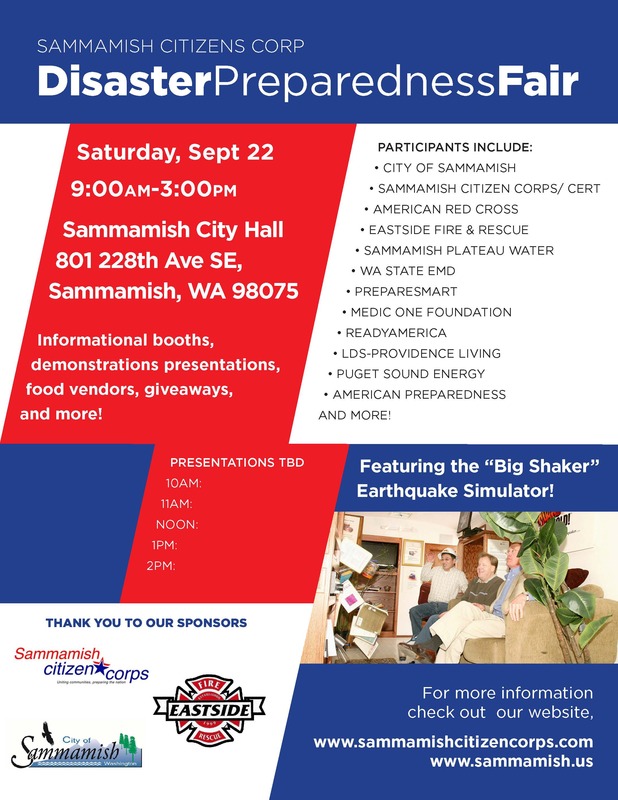 The City of Sammamish and the Sammamish Citizens Corp invite you to attend the annual Disaster Preparedness Fair on Saturday, September 22, from 9:00 a.m. to 3:00 p.m. at the Sammamish City Hall. This event will feature informational booths, demonstrations, presentations, giveaways and more. This year, for the first time, we are featuring the "Big Shaker!" Come and get a taste of what it's like to experience an earthquake. This event is a great opportunity to start getting you, your family, and your neighborhood prepared!